It’s turning out to be a very exciting time for me. Not only were my books featured as part of the fabulously successful Aria gang lit week last week but I’ve also just signed a contract with literary agent, Jo Bell of Bell Lomax Moreton. For me it fulfils a 20 year quest to find an agent and publisher. I met Jo at the Aria author party a few weeks ago and mentioned to her that I was looking for an agent. Jo was lovely to talk to and came over as enthusiastic and professional. We agreed to chat further and the upshot is that I have signed up with Bell Lomax Moreton. I see it as the next stage in my author journey and I’m hoping Jo can further my writing career. It’s encouraging that Jo has a strong background in publishing on the sales side of things and that the agency has some very successful authors on the books. It’s also a joy to have finally found an agent. I first started approaching agencies around twenty years ago when I wrote the first three chapters and synopsis of the book that was later to become Slur. Sadly, I didn’t succeed and I eventually published the book independently until I was spotted by a publisher. Last year, with six published novels to my name and a contract with a reputable publisher, I decided to have another try at finding an agent but after several attempts I again gave up. The whole process is time consuming and it’s disheartening when you don’t even get a reply so I decided to focus on my writing instead. I foolishly thought that as a published author it would be easier to attract an agent but how wrong I was. The reason, I believe, is that agents are so inundated with manuscripts that they simply get consigned to the ‘slush’ pile. I think there’s a lot to be said for the personal approach where you get to meet agents face to face and both decide whether you want to work together. If you’ve been checking out the announcements from my publishers, Aria at Head of Zeus, this week you will have noticed that they have revealed the covers for the first three books in my Working Girls series. Just in case you missed them, I’m thrilled to be able to reveal them here on my blog. I’m really pleased with them and also love the taglines that my publishers have added. All three books are now available for pre-order. Here are full details including links and I have added the tag lines for each book. Publication date 13th June 2019. I hope you like the covers as much as I do and that you will enjoy reading the books as much as I am enjoying writing them. I am very excited to announce my new series of books called, The Working Girls. As the title suggests, it centres around the world of prostitution – there’s more information below about my inspiration for this series. The first two books are already available for pre-order on Amazon. Although there are no cover images yet, my publishers have written a fabulous enticing blurb for each of them, which I’m detailing below together with links to the relevant Amazon pages if you want to pre-order. When respected journalist, Maddy, goes to interview prostitutes in a rundown Manchester pub, she doesn’t reckon on attracting the attention of their ruthless pimp, Gilly. He quickly decides to use Maddy for his own gains; he just needs to work out how. In the weeks that follow, Maddy is oblivious to Gilly’s growing obsession with her, particularly when she begins a romance with successful businessman, Aaron. Their passionate love affair starts to dominate her life, and she finds herself losing control and alienating the people around her. A TARGET ON HER BACK. Heather Burnside is back with this breath-taking, heart-racing new series, perfect for all fans of Kimberley Chambers and Martina Cole. PRE-ORDER THE PAGE-TURNING NEW INSTALLMENT OF THE WORKING GIRLS SERIES FROM THE QUEEN OF URBAN CRIME. Ruby has always been strong. Growing up with a feeble mother and an absent father, she is forced to fight the battles of her younger siblings. And when a childhood experience leaves her traumatised, her distrust of men turns to hatred. With no safe place to call home, Ruby is desperate to fit in with the tough crowd. She spends her teenage years sleeping around and drinking in the park, and by the time she is sixteen, prostitution has become a way of life. 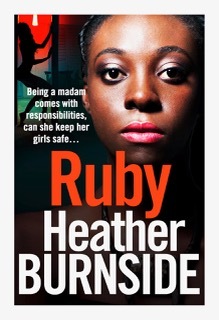 But Ruby has ambitions, and she soon moves up the ladder to become the madam of her own brothel. But being in charge of a brothel has its down sides, Ruby faces her worst nightmare when an enemy from the past comes back into her life, and gang intimidation threatens to ruin everything. Can she find a way to beat her tormentors? And will she be strong enough to see it through? 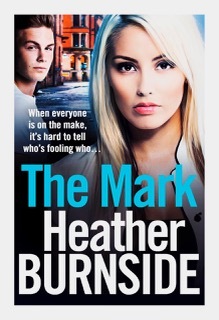 Heather Burnside is back with this breath-taking, heart-racing series, perfect for all fans of Kimberley Chambers and Martina Cole. The idea for the series started when I watched a police detective series many years ago. In one particular episode the female detective was interviewing prostitutes in a seedy pub where she seemed completely out of place in her smart suit and with her refined middle-class accent. I remember thinking how gutsy she was to do that and that she might be leaving herself open to all sorts of danger. For example, what would happen if the prostitutes’ pimp followed her home and found out where she lived? This gave me the idea for the first book but I replaced the police detective with my journalist, Maddy. My imagination started working overtime until I came up with the full outline for a book. I did a lot of research for book one, delving into the world of prostitution by reading books about the life of a prostitute and watching online videos. It struck me that there were various reasons why the girls had chosen the life of prostitution and some of them were quite sad. I thought to myself, each of these girls has their own story to tell, and I therefore decided to base each of the following books in the series on one girl in particular. 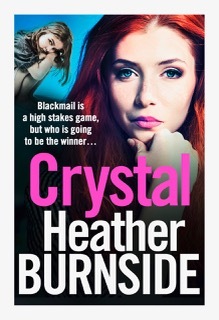 There are three books scheduled for publication with Aria Fiction: The Mark, Ruby and Crystal although Crystal isn’t yet available for pre-order. I have also penned an outline for a fourth book, Amber, so that may well follow on from the first three. Each of the books can be read as a standalone although there is some overlap with characters who sometimes appear in more than one book. 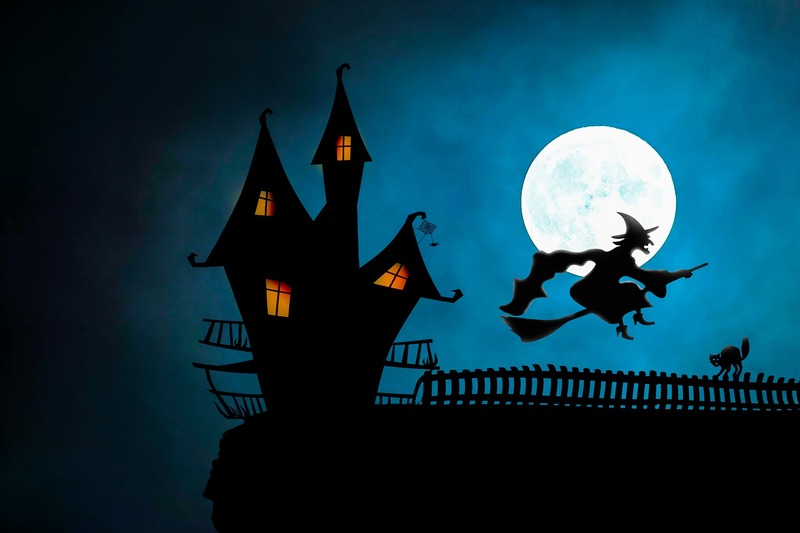 I hope you enjoy reading this series as much as I am enjoying writing it. As part of the Chiller Thriller week Aria will also be featuring a different book each day with Vendetta scheduled for Sunday 28th October. I will be making a guest appearance on the Aria blog on Sunday at: https://ariafiction.com/our-blog. 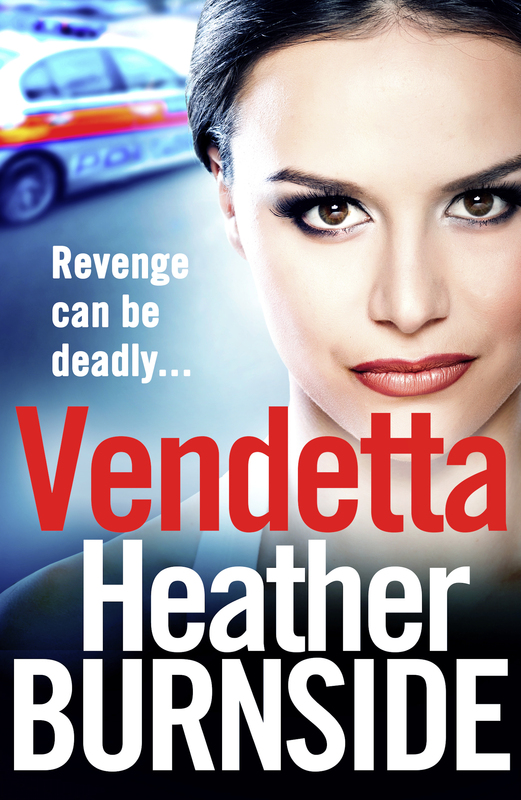 Please check out my blog post where you can find out all about the scary characters in Vendetta. 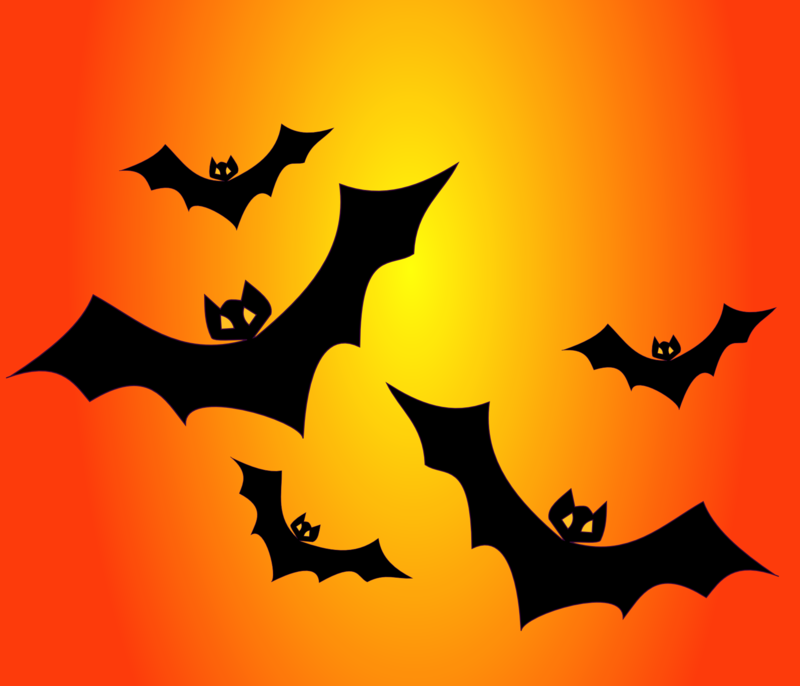 I hope you enjoy the week and have a great Halloween.